Whenever an economy slows, there are some winners among the many losers. As anyone with familiarity of the current state of the U.S. economy knows, the housing market has been a major reason behind the sluggish nature of the nation’s finances in recent years. That was the result of millions of people getting loans to buy homes that they could not afford, which led to homes being foreclosed and the entire banking industry being thrown into chaos. Now, however, the winners in this downturn are those who own properties for rent. In short, the property rental markets has never been hotter, and it’s going to stay that way for awhile. As homes have been foreclosed and sold on short sale, the entire current state of the US economy has been jolted. People have lost their jobs or had their hours cut. Others have been offered early retirement or simply sent straightaway into the unemployment line. As a result, the cycle has continued: lost job=lost income=unable to make mortgage payments=foreclosure=more businesses hurt=more lost jobs. How big is the new renter class? Try a 3 million uptick in the years between 2010 and 2015 as the foreclosure crisis continues, Burns estimates. In fact, the single-family home rental was the hottest part of the rental markets from 2005-2010, and it will stay that way in the near future, a growth that is “unprecedented,” Burns added. In that same USA Today article, Justin Chang, principal of investment firm Colony Capital, predicted that “in the next five to 10 years, you’ll see tens of billions, if not hundreds of billions, of dollars of private equity” poured into the single-family property rental markets. Why? Here are a few sample percentage increases in single-family renter households by city between 2005 and 2010: Phoenix—69.8%, Las Vegas—66.5%, San Antonio—48.4%, Chicago—40.4%, Washington, D.C.—36%. In these cities and many others, the number of rentals in a given neighborhood has doubled in the past several years according to real estate professionals, meaning increased possibility for profits for property owners. The “problem” has grown so widespread that some communities are limiting the number of rentals that can be started per neighborhood block. As these limits are challenged in court, it sends another signal to those interested in investing, that they need to act fast before municipalities limit rental markets opportunities. As Brian Chavis points out in his book Buy it, Rent it, Profit! the dynamic duo of super-low home prices (due to foreclosures and short sales) and super-low interest rates (meant to kick-start the housing market) mean it is a super-great time to invest in rental property. As homes lose their value much more slowly than in previous years ($500 billion lost in value in 2009 compared to $3.6 billion lost in 2008, as a hint), then the returns on investment property will decrease. Before the bargains in neighborhoods across the country get snapped up, buy a home or two for a fraction of their true value and begin to earn the passive income that all investors dream of. Before you leap into the housing rental market, however, be aware that homes do cost a significant chunk of change to maintain, and figure out where the best areas are to invest in. In addition, many first-time investors are joining forces with experienced real estate professionals to find the best bargains, which lead to the best chances of long-term and stable profits from rentals. With a little added knowledge of the current state of the U.S. economy and enough money to put down or even buy entirely, now is a great time to pull the trigger. 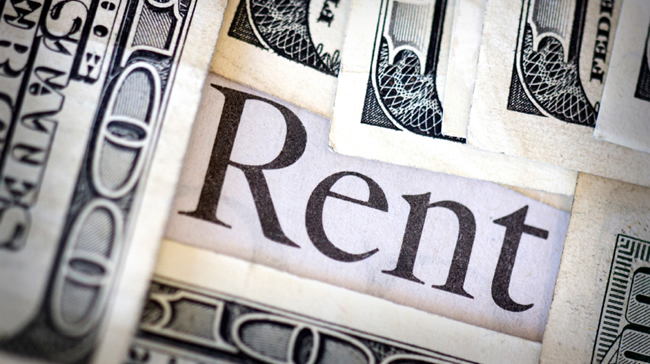 Even Americans with modest savings can get in on the tremendous values percolating in the property rental markets, values sure to continue their upward trend into the foreseeable future.